The above German Shepherd litters/adults have met the club criteria for Puppy Listings however we advise anyone purchasing a new GSD to ensure the breeder supplies a copy of all relevant paperwork. Club members interested in listing their litters, adults or expected litters on this page should contact Annie Tamblyn at annie@firead.com.au or phone (07) 3899 5213. Download or submit online from the ‘Forms’ area of the site. This page will be updated on the 1st day of the month. The German Shepherd Dog Club of Queensland offers no warranty of any kind in relation to the standard of any dog offered for sale by a breeder. The German Shepherd Dog Club of Queensland does not enter into any negotiations between buyers and sellers and remains an independent entity. The German Shepherd Dog Club of Queensland reserves its rights to decline or withdraw this listing at any time. Please note that a BREEDER IDENTIFICATION NUMBER (BIN) is now required for all puppies born after 28th May 2017. ‘A’ means the parent’s hips have been x-rayed and that they have passed the Hip Dysplasia Scheme as approved by the German Shepherd Dog Council of Australia. ‘Z’ means the parents have had their elbows x-rayed and that they have passed the Elbow Dysplasia Scheme as approved by the German Shepherd Dog Council of Australia. H-Neg. means the sire has his Haemophilia Certificate. This page will be updated on the 1st week of the month. The German Shepherd Dog Club of Queensland advises that the details listed in this For Sale section are authorised for publication by the members concerned. 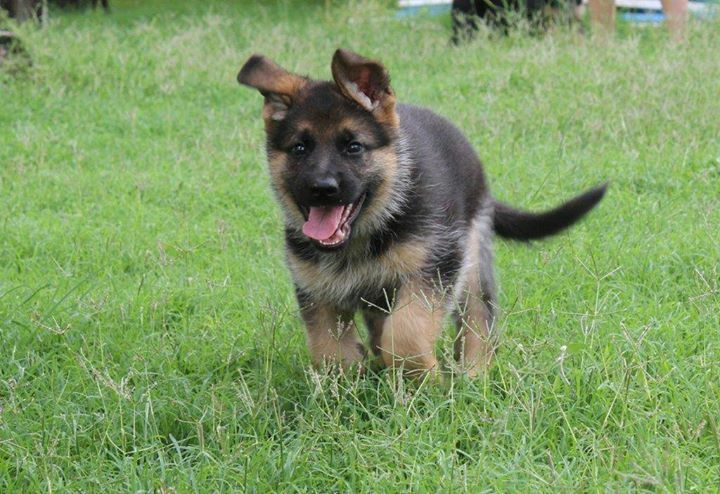 The German Shepherd Dog Club of Queensland offers no warranty of any kind in relation to the standard of any dog offered for sale by a Breeder or as to the reputation or skill of any Breeder. The German Shepherd Dog Club of Queensland does not enter into any negotiations between buyers and sellers and remains an independent entity. The GSDCQ accepts advertising without any liability for loss or damage incurred by an error or inaccuracy or Internet server difficulties. The Committee of the German Shepherd Dog Club of Queensland reserves its rights to decline or withdraw any advertising or cancel this site without prior notice.